South Korean dairy manufacturer Namyang Dairy’s products have hit the shelves of Chinese wholesale market Herma Shenzu, part of Alibaba Group, the company said Friday. Herma Shenzu, established in 2016, is a new distribution channel operated by the e-commerce giant Alibaba Group. The markets quickly gained attention by integrating online and offline logistics for fresh foods: When a customer places an order online, an employee from the closest store delivers the product to the customer’s doorstep within 30 minutes. Having started out in Shanghai, the chain currently has 60 stores in nine cities in China. The goal is 2,000, according to the company. Namyang said it has been exporting its milk product Namyang Dark Milk since July, and that its fermented milk IO became available as of Friday. 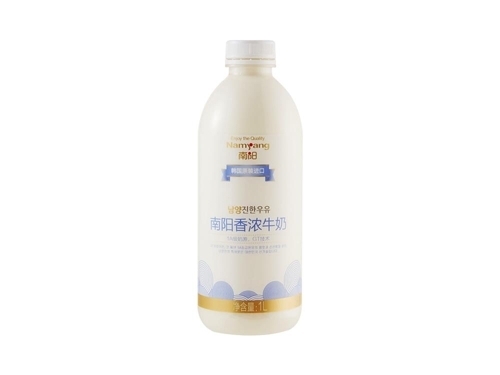 It is the first attempt for the Korean dairy maker to enter the Chinese wholesale market with Korean dairy products. In 2016, Namyang Dairy has developed a powdered milk product for export in partnership with the world’s third-largest e-commerce channel, JD.com. “Entering China’s wholesale market can bring us a lot of opportunities and challenges. The company will (make an) effort to provide safe, high-quality products to Chinese customers,” said Kim Ki-hoon, head of Namyang Dairy’s overseas business division.